In my shop I have watched as the Dads proudly push their new born babies in prams, then the toddlers arrive full of energy running all over the show, next is the Saturday sports day role with their children kitted out in school colours and tales of endeavours of teams, then comes the complex role of handling their teenagers’ nightmarish emotional mood swings, followed by the stress of getting their children through Matric exams. I hear about the children developing their knowledge at University then moving off from the family nest to work often overseas. Finally Dads tell me about their children’s weddings and the cycle starts all over again with their son’s now as proud Dads coming to the shop. They deserve a really big thank you for all their input in their family life and this Father’s Day Sunday is the opportunity to do that with a special treat. 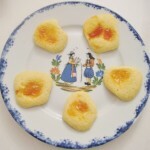 My recipe this week is little handmade butter biscuits which I thought would be fun for children to make something for their Dad. 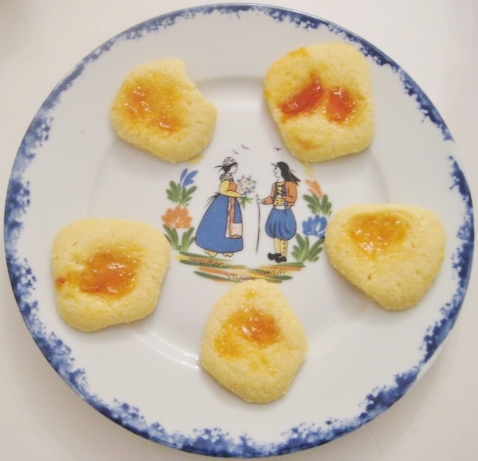 I called them “Little Thumbies “ because all the children have to do after you have made the dough, is to roll it in little balls then flatten it with a thumb print which you fill with a bit of jam. They taste good too and can be eaten with a cup of coffee, or a glass of Chateau Marguet Grand Cru Rose champagne, at any time of day. Bake for about 15 minutes, they should go a little brown around the edges, watch they do not go too brown. You can turn off oven and leave them to dry a bit longer to crisp them.